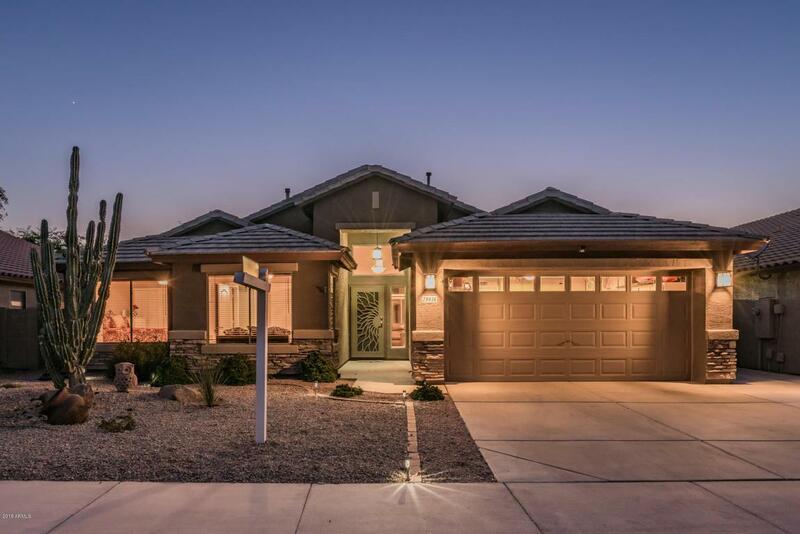 Step inside your updated smart home in the widely popular Johnson Ranch community! Enjoy gas cooking with a large kitchen island featuring granite counter tops, complete with white cabinets for a bright, modern look. 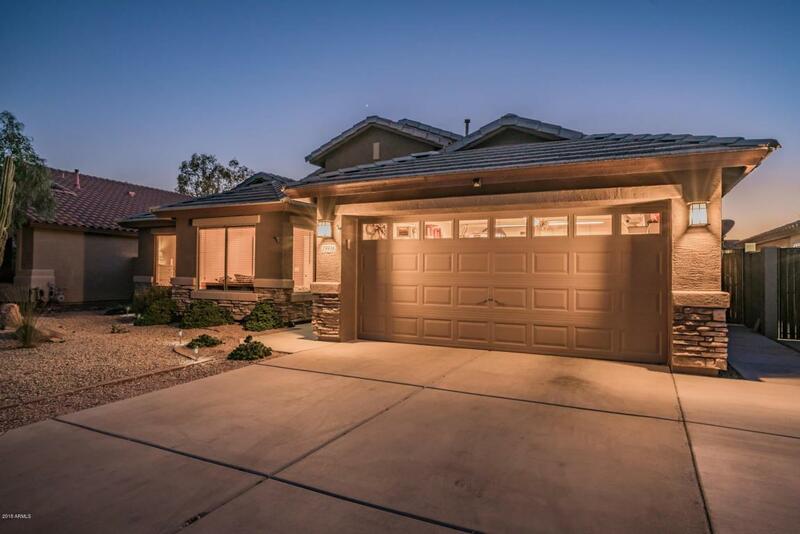 This move-in ready home includes newly installed wood tile in the family & master bedroom, granite counter tops in the master bath, raised, comfort level porcelain toilets, & security screen door. Family room is wired for surround sound sound & Den can be converted to 4th bedroom if desired. Enjoy swimming in the saltwater, heated pool year round! 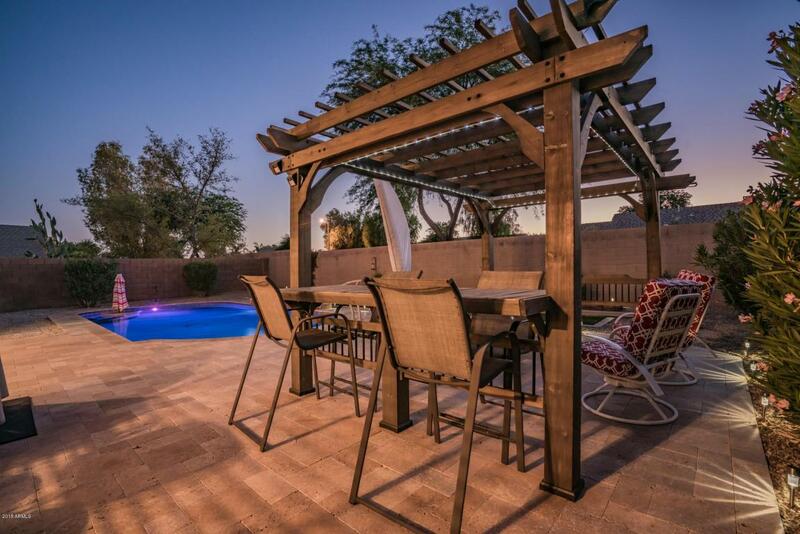 Relax or entertain in your dazzling backyard enclave, featuring a custom pergola. 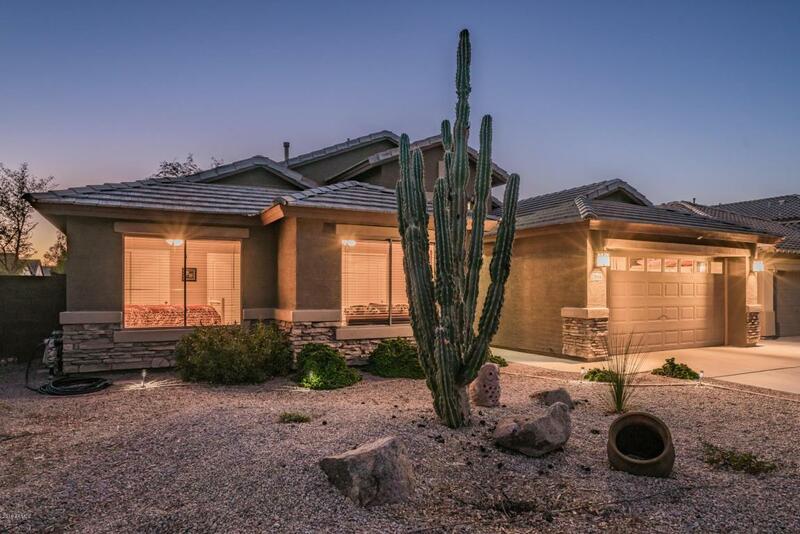 Save energy & beat the heat, cooling your home from work or afar with thermostat & pool control straight from your phone!Newly installed water heater, motor on furnace, added sidewalk for trash bins & extended driveway to accommodate 3 cars.